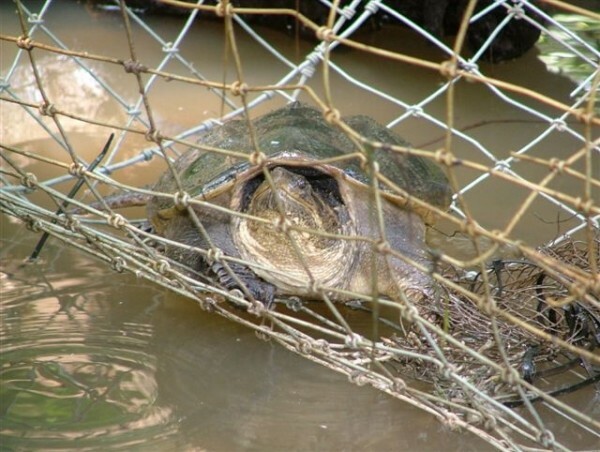 For the first time, a bill protecting Common Snapping Turtles from commercial trapping in Connecticut has passed in the CT General Assembly’s Environment Committee. The vote tally was 29-0. In previous years, we could not even get a vote for Snapping Turtles in the committee. This bill also addresses commercial trade of Red-Eared Slider Turtles. Now we need citizens to email their State Rep to bring attention to this bill. Below is a sample message that you can cut and paste. Additional talking points and Reps’ email addresses are further down this post. Please “Bcc:” John Hall so we know you took action.I am writing to ask you to help protect snapping turtles by calling for a vote and then voting YES on H.B. 5354. This bill passed in the Environment Committee 29-0. I am helping to make this bill become law. Current law excludes Snapping Turtles from the protections against commercial trafficking afforded to all other forms of wildlife. Snapping turtles are an ancient species, having survived since the age of the dinosaurs. They play an important role in our ecosystem as apex predators and scavengers. Connecticut turtles as a group are declining due to habitat loss. This is the fourth year that a bill to protect CT snapping turtles from commercial exploitation has been proposed. HB 5354 also includes a ban on commercial trade of red-eared slider turtles in Connecticut, since these turtles, sold in pet stores, end up being released into the wild and threatening our native turtle population. Thank you for your consideration of this matter. I hope you will help bring HB 5354 to a vote in the House and vote YES when that vote is held. The statute that allows commercial trade of snapping turtles was passed 47 years ago. Today, Connecticut’s conservation biologists understand the important role that snappers play in maintaining biodiversity and the health of the ecosystem. Snapping turtles’ reproductive biology makes their sustainability as a species vulnerable to harvesting by humans. It requires 12-19 years for females and males to become sexually mature. When eggs are laid, there is a low rate of hatching due nest predation and by environmental conditions. For these reasons, snapping turtles reproduce very slowly. Commercial “harvest” of mature turtles endangers local populations and threatens harm to our aquatic ecosystems. No studies of the snapping turtle population in Connecticut have been performed, but turtle populations in general are known to be in decline. H.B. 5354 will end unsustainable and institutionalized wildlife trafficking in Connecticut and help end the sale of the State’s snapping turtles to satisfy the demand from Asian markets. In 2011, Rick Jacobson, DEEP Wildlife Division Director, reported that since the year 2000, 12 to 20 million turtles per year have been shipped from the United States. This ravenous worldwide demand affects Connecticut’s snapping turtles. In 2012, at a DEEP public hearing, a commercial turtle trapper testified that he had taken 10,000 pounds of snapping turtles in six weeks from the freshwater tidal marshes of the Connecticut River, referring specifically to Deep River’s Pratt Cove. The provision of R.B. 5354 to protect Connecticut’s snapping turtles from commercial exploitation is long overdue. Common Snapping Turtles bioaccumulate heavy metals such as mercury. The meat from even smaller adult snapping turtles could pose a health risk for humans. 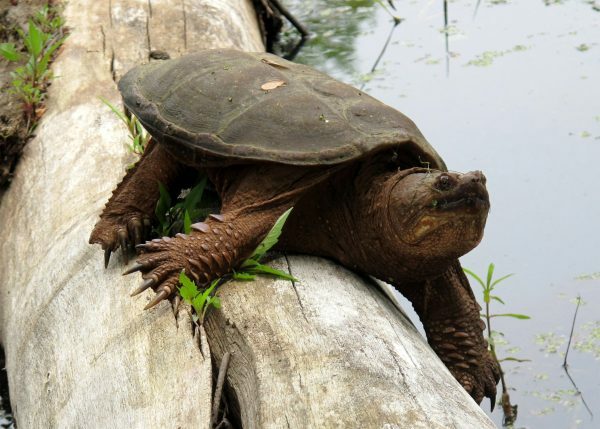 Research of snapping turtles in southeastern Connecticut has shown levels of mercury in snapping turtle muscle tissue in proportion to the mercury level in the lakes. Maine has already passed a ban on the commercial trapping of Snapping Turtles, and Ontario is considering a ban. Strict limits on the taking of snapping turtles in nearby states is pushing this activity into Connecticut. Snapping Turtles in our state also need to be protected. There is no population data to show that Snapping Turtles can withstand the threat of commercial trapping. This entry was posted in News & Events by John Hall. Bookmark the permalink.